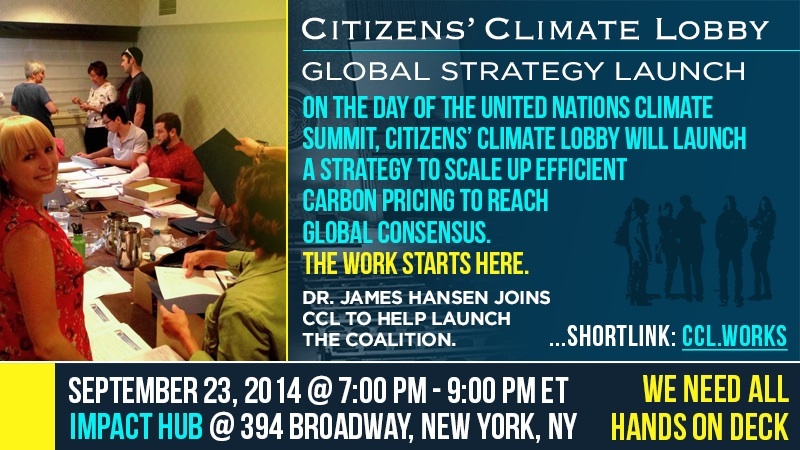 On the day of the UN Climate Summit, Sept. 23, 2014, Citizens’ Climate Lobby released its fully annotated Global Strategy Whitepaper, and launching its effort to pull together a coalition of stakeholders, thought-leaders, businesses, nonprofits and governments, to achieve an economically efficient, value-building plan to price carbon and transition to climate-smart economic and investment policies. 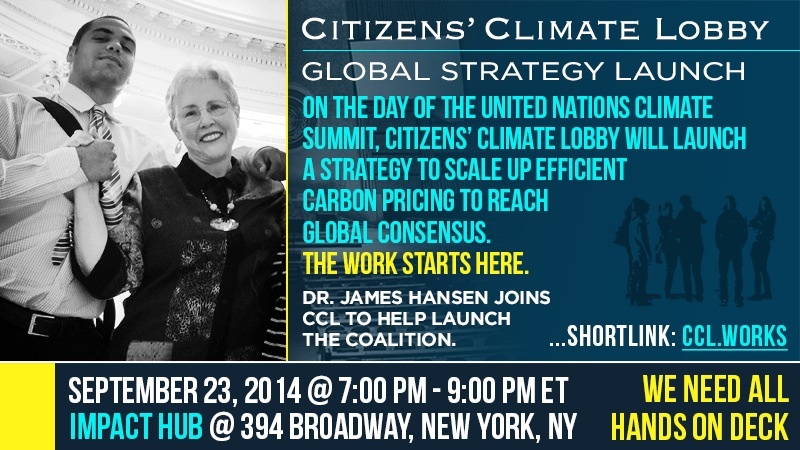 Release Global Strategy whitepaper outlining path to effective climate solution. Explain CCL model for coordinated grassroots policy advising. Detail proposal to price carbon and build the economy. Conference in viewers from around the world. 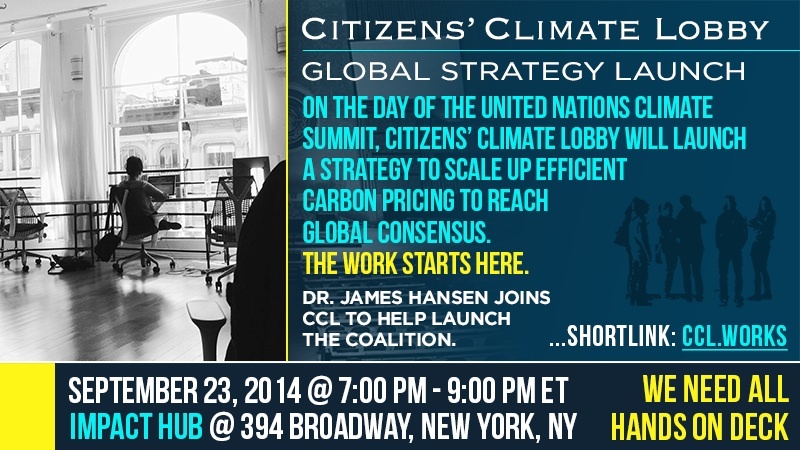 Launch effort to build borderless multi-sector coalition of support for carbon pricing solution at the Paris talks in 2015. Begin building connections between participants, networks of supporters. This event launched PathwayToParis.org, a platform for building a borderless coalition of grassroots and institutional support, a coalition of the working, to achieve the best policy for real people and for our climate future. Please return to this page for updates, and to reserve your spot. A draft of this strategy was the focus of CCL’s Scalable Climate Restoration seminar at the World Bank Civil Society Forum, on April 11, 2014.